If there is any such thing as a typical 21st Century jazz musician, Boston native Nat Simpkins is a good example. Not only is he an excellent tenor sax player, he also has his own record label (Bluejay Records), is a producer, and as if that doesn’t keep him busy enough, he gives private lessons to boot. That’s not a bad list of accomplishments for a man who began playing sax at age 13 as a cure for asthma. If his name sounds familiar, that may be because the Simpkins album “Crescent City” released in 2000 was the subject of JFASN #95 on which I posted here on November 23, 2013. “Spare Ribs” gives us nine songs. All but one were written by Simpkins. The lone exception is a Vernon Duke standard that we shall get to shortly. First up we have “Muchacho”, which the liner notes describe as “a 32-bar Latin tune reminiscent of Santana’s “Evil Ways”. I wouldn’t know about that, not being a Santana fan*, but I do know the word “Muchacho” is Spanish for “young man”. The song “Muchacho” which Simpkins and Co. present here undeniably has the light-hearted, happy go lucky feel that is often associated with youth. It opens with Johnson on guitar, backed by organist Braham. Then Simpkins steps forward for the lead, treating us to that big warm tenor sound. Then we’re back to Johnson, whose nylon strings give his fretwork a warmth often lacking in steel stringed instruments. “Rib Joint” is next. 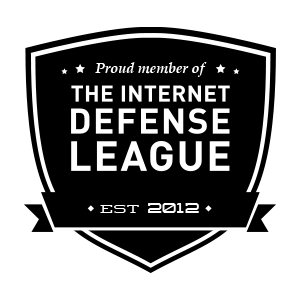 Like a lot of the material here, this one is strongly reminiscent of something else that I can’t put my finger on. It’s beautifully arranged and the guys do a superb job. One thing I’ve noticed over the years is that a lot of jazzy blues pieces named after food have a bit of a funky sound to them, and you will find this one is no exception. “Slo Movin’ Freight” opens with Braham on the organ taking the lead, followed by guitarist Johnson. Most of the songs here are somewhat mellow, and this one is even more so. The title may put you in mind of Ray Bryant’s classic “Slo Freight”, but there are few similarities between the two songs. I love the opening of “Arnett Is Comin’ To Town”, with drummer Brooks apparently doing a number on a triangle to accentuate Braham’s organ work before Simpkins steps up and takes the lead. This is a great blues piece, and I can tell from a glance at the Post it Note I have stuck inside the jewel case that of all the songs on “Spare Ribs”, this one was the song I played most often on my radio show. Vernon Duke’s classic “Autumn In New York” is a great piece to showcase the mellower side of Simpkins’ tenor. He hits some unbelievably low notes that might rattle your speakers at high volume. This one is mostly Simpkins, backed by Braham and Brooks, until about two and a half minutes in when Johnson on guitar takes the lead. Then Simpkins returns and the guys take it to the end. Beautiful song, simply beautiful. “Calypso Gal” sounds a bit like you might expect, although not many calypso tunes open with an organ! Braham soon gives way to Simpkins and we find ourselves listening to a typically (for Simpkins) enthralling song. About a minute and a half in Johnson takes over and we’re in more familiar territory, until he steps aside to give Braham the lead again. Braham is soon followed by Simpkins, and he takes it to the end. “Spare Ribs” closes with a delightful song called “Cleanhead Shuffle”. This is another lively song with everyone pulling out all the stops. Simpkins takes the lead at first, with the help of a little overdubbing, before segueing into a non-overdubbed verse that is soon overtaken by Braham. All the while Brooks and Johnson handle the rhythm section role more than ably. Johnson gets an opportunity to solo, then we’re back to Simpkins to wrap it up. One thing you will notice about “Spare Ribs” is the diversity of styles Simpkins employs in his compositions. Some of them may put you vaguely in mind of other songs, but none of them are duplicates of themselves; he is no cookie-cutter composer who has hit on a riff or gimmick and runs it into the ground over and over. 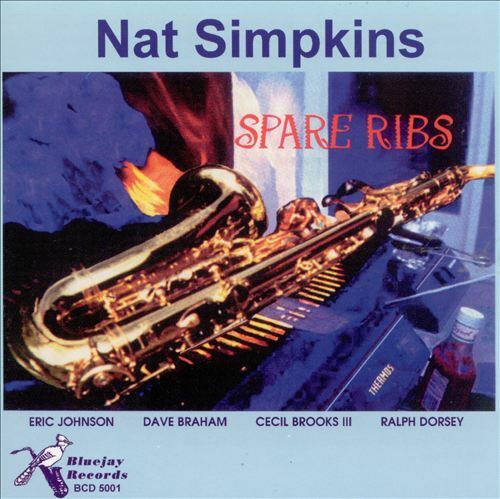 All of which is why I am going to tell you that I am certain that you will find “Spare Ribs” by Nat Simpkins to be a delightful addition to your personal playlist, for a Saturday or any other night! If you would like to find out more about Nat Simpkins and his music, there is a short bio of him by David Nathan on the allmusic.com web site. Simpkins also has a YouTube channel which has several videos, none of which unfortunately is material from this album. Simpkins can also be found (surprise) on Facebook. Finally, if you would like to purchase either “Spare Ribs” or his other album that I have reviewed, “Crescent City”, they are available on the Bluejay Records web site. *NOTE: To Santana’s legion of loyal fans, let me add that even though I am not a fan of his, I do not mean to appear disdainful of either Santana or his music. I love classic rock as much as I love jazz, and I have scores of vinyl LP’s, audio cassettes, CD’s, and concert DVD’s from Eric Clapton, Elton John, Billy Joel, The Who, and others, to prove it. And don’t get me started on blues artists! I’m sure Santana is an excellent musician. BUT. There are simply too many great musicians out there for a working-class stiff like me, who still punches a time clock five days a week, to listen to them all and still have time to write this blog almost every Saturday. The folks at allaboutjazz.com have a bare-bones calendar of upcoming live jazz in the Portland area.